When we hear the word “snake,” most of us recoil with fear. Granted, there are some people in the world who are genuine snake lovers, but for most of us, we simply don’t like snakes, and for good reason. Snakes are sneaky and many of them are dangerous. We don’t trust them. Truth be told, though, snakes probably don’t like us just as much as we don’t like them. On the other hand, when we hear “dog,” most of us, unless we’ve had a bad encounter, get warm and fuzzy feelings inside. We like dogs. 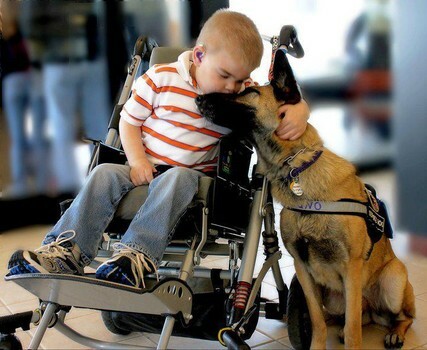 After all, most dogs are fun, kind, and gentle. But owners of dogs also know that they’re faithful animals. We all want friends that are more like dogs than snakes. We want friends who can be trusted, who are faithful, and who are loyal. We don’t want friends who talk bad about us behind our backs, who let us down, and who are never there for us when we need them the most. God wants us to be faithful people! Spend time reading about and reflecting on God’s faithfulness. Ask yourself the following questions. How has God been faithful to me? What kinds of qualities does God have that I want in my own life in order to become more faithful? Write out some practical ways that you can be more faithful. Thank God for His faithfulness in your life and then ask Him to help you be more faithful. As you reflect on the fruit of faithfulness, remember that God wants us to be like dogs, not snakes! He wants us to be people who are faithful. Dear Lord, help us to be faithful. Help us to be more like Dogs and not snakes. In the Name of Jesus, Amen.